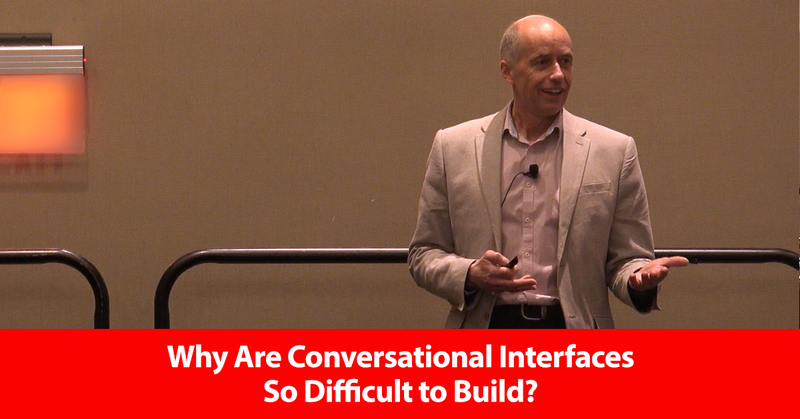 Artificial Solutions CEO Andy Peart discusses the complexities of building conversational interfaces that effectively map language in this clip from SpeechTEK 2018. Learn more about customer self-service at the next SpeechTEK conference. Andy Peart: When you're building conversational systems, why are they so complex to build? We all speak, it's easy to understand us. Why is it difficult for computers to understand? Many of you in the room may well be computational linguists and you'll know that the reason is because language is very, very complex. This is a graphic that I rather like because this is a graphic of the English language. Within Teneo, what we have done is we've mapped 35 different languages, we've looked at the relationships between words, between synonyms, between relationships, between contexts and we've mapped that out and built a whole series of building blocks. The English language has over 70,000 different building blocks, and this is a graphic that illustrates that. It's very useful because one of the challenges with machine learning, when you are implementing conversational systems is you need vast amounts of data to be able to point and train your system. With Teneo we've done a lot of that heavy lifting for our clients because we've mapped the structure of languages, and this is what you see in front of you. If you drill a little bit deeper into that graphic, you start to see this is just one of the thousands and thousands in different flows, and it's looking at the “I like.” In the center you see the “I like” flow, and you can see all of the different interpretations in how it can be mapped out. So when somebody says, "I like,” we've already done all of that work for you, and we've mapped it out in the Teneo language resource. And that is used as part of the platform that allows our clients to very quickly build these conversational systems, and as I said at the beginning, once built to be able to deploy them across multiple platforms and then to be able to capture that data and do things with it to actually use that to inform your organization in terms of what your customers are thinking and are looking for.